We’ve got over 20 years of experience caring for people of all ages, all with varying needs, meaning that we are able to provide tailored services dedicated to your health and well-being. Hales Care provides specialist care and assistance through bespoke care service plans to help you with your specific needs. 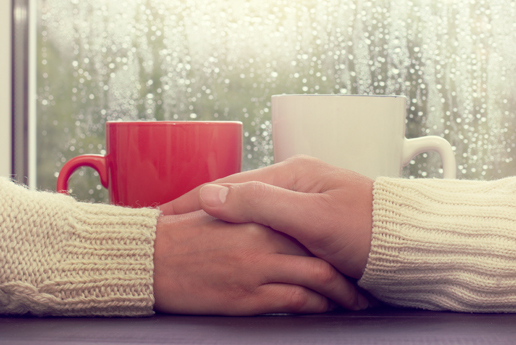 A person’s final days are a hugely important time not just for them, but also for their family. Our End of Life Care team will work with you, your family and health professionals to tailor a package that will ensure that your final days are not just as comfortable as possible, but most importantly of all, exactly as you wish them to be. Dementia is a broad term referring to over one hundred different types of illnesses that cause memory loss, mood change and difficulty with communication. It affects around 800,000 people living in the UK and this figure is constantly rising. Whilst one-third of people with dementia live in residential homes, the majority of those suffering from the illness are able, continuing to live at home, with the help of care providers. 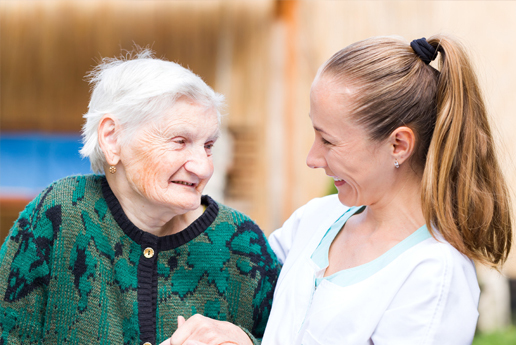 Our care workers are professionally trained and educated to understand dementia, allowing us to provide you with the best care possible. We understand the importance of continuity and familiarity to dementia sufferers and work to enable you to continue living at home in a comfortable environment surrounded by memories, with individually tailored one-to-one support. 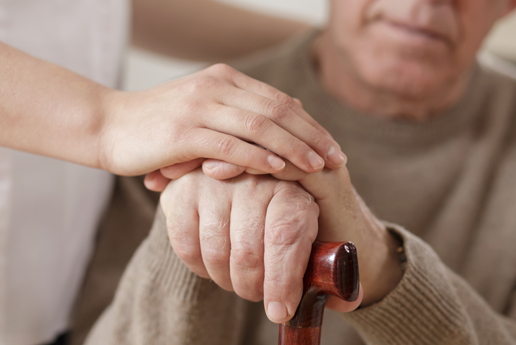 From Domiciliary to Live-In care, our services are moulded to fit your routine. We are careful to provide you with the same carer to avoid stress and confusion, enabling you to build trust and friendship. Whilst we aim to encourage your independence, our carers are always there to offer assistance with domestic tasks and personal care, should you wish. 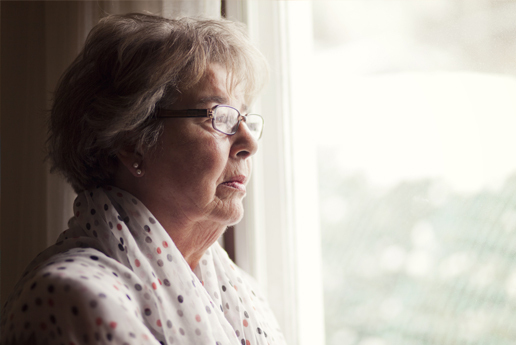 Alzheimer’s Disease is a progressive neurological condition that affects brain function and is the most common cause of dementia, accounting for around 60% of cases on older people. Alzheimer’s can hugely affect your life, not only with regard to everyday functionality but perhaps most importantly, by decreasing your confidence. Our Alzheimer’s Care team is highly experienced and dedicated to building strong relationships and working with you to ensure that you receive the right support. We offer a range of tailored services that enable you to continue enjoying life to the full in your own home, surrounded by people you know and trust. Parkinson’s Disease is a long-term progressive neurological condition that affects the nervous system. Parkinson’s attacks nerve cells in the brain that produce a chemical called dopamine which the brain uses to control muscle movements. At Hales Care, we offer specialist support packages that can be tailored to suit your individual requirements and offer the support you need to live as comfortably as possible. We will work closely with you, building strong and trusting relationships and helping with anything from household chores, to regular exercises, to cognitive stimulation. Our professional Parkinson’s Care team are highly experienced and committed to ensuring that you live the best life possible. 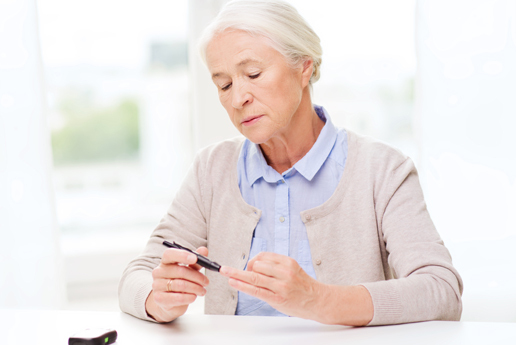 Diabetes is a long-term condition that affects the body’s ability to absorb glucose. A lack of insulin in the body allows glucose to build up in the bloodstream and can lead to heart disease, stroke, kidney failure and blindness. Although potentially dangerous, it is possible to live a normal, active life with the condition. Our Diabetes Care team are experts in dealing with the condition and can help you to ensure that your diabetes is kept under control while keeping an eye out for early signs of any potential complications. Our team will work with you to tailor-make a Diabetes Care Package that is best for you and your family to ensure that you maintain a healthy and active lifestyle.